April Sale: Get 30% Off on custom yard signs today! Offer ends May 1st. Custom yard sign prints designed to be weather durable and color accurate. Outdoor Durable Vibrant colors will pop through the wind and rain. 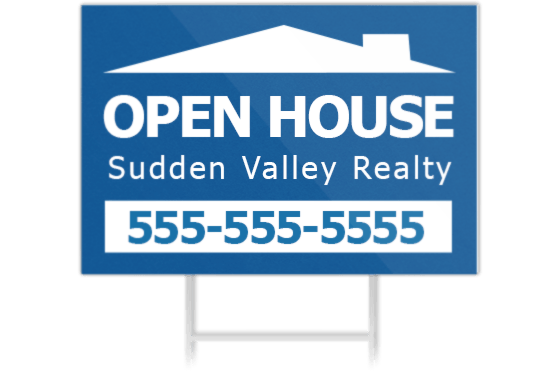 Arrives Quick Customized yard signs typically ship in 3-4 business days. Great Value Unbeatable value for professional yard signs. Photo Collage Sign Unlimited photo uploads to your custom yard sign. Make the perfect design with many images. Easy To Use Text Tools Personalize your yard sign design by adding unlimited custom text. Templates Available Make your own inspiring or funny motivational template for your custom yard sign. P. Watson in San Diego said... I have used RoyalCanvas for all types of prints and yard signs is no different. They simply do a great job. W Ames in El Paso said... I made some photo yard signs to point direction to my home when selling it. Looks great. Mason in MI said... My yard sign was delivered very fast and came with the stake to post it in the yard. Amber T. in Winnipeg said... Fortunately a co worker pointed me to RoyalCanvas when I needed a sign made. She recommended a good company. M. B. in CT said... Very happy with my yard sign from RoyalCanvas. Tracy S. in Atlanta, GA said... Got the sign and the stake in the mail, walked out in the yard, stuck it in, and the job was done. Katherine C. in Ohio said... II got a sign made for my landscaping business to put in the yard when I'm working. I've gotten multiple calls already from doing this. Leighton in IN said... My yard sign came out fantastic! Our image enlargement process ensures you get a high quality custom sign print. We accept all file types, including jpeg gif png tiff psd ai doc ppt zip xls and many more! When should I expect my custom yard sign to arrive? Your custom yard signs usually ship in 2-3 business days on average. Why should I use RoyalCanvas for my yard sign? 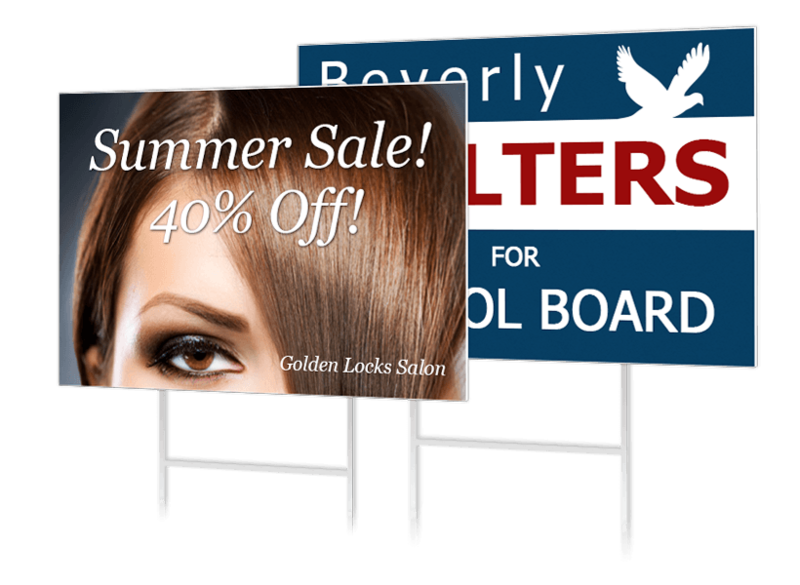 Custom yard signs from RoyalCanvas are made from durable weatherproof materials. We take great care in making sure every print looks fantastic and will last for a very long time.